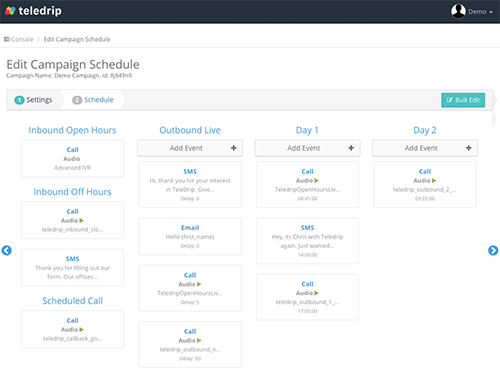 TeleDrip offers several powerful tools to automate your sales process. By combining the use of the Schedule Editor, A.I. Rules and Webhooks you can automate every part of the sales cycle. 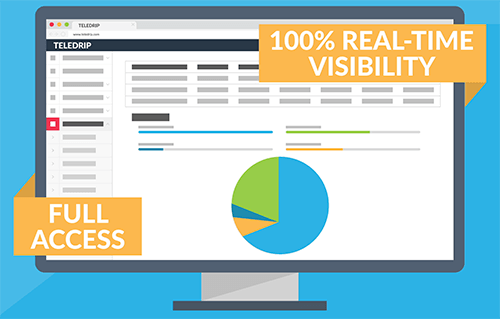 You have full visibility and control of all of the automation. TeleDrip’s intelligent scheduling and AI powered chat unobtrusively let the consumer control the experience. Easily select a time to schedule a call, text or email days or even weeks away. Once your campaign flow is established simply press start and post. Your leads will be intelligently followed-up on, giving consumers the option to transfer, reschedule, or remove. TeleDrip’s comprehensive solution will answer customers questions, automatically schedule and call back prospects, and remove consumers who no longer wish to receive information about your offer. While TeleDrip take cares of all the arduous tasks, simply receive inbound calls from customers who are ready purchase.